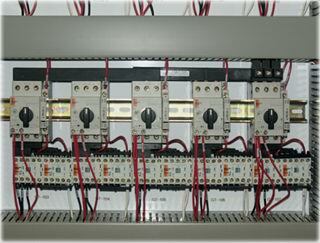 The PLC control cabinet is the foundation to any plant automation project. A poorly designed or built cabinet puts the whole system in jeopardy and is going to cost you more money, particularly at installation, when time is always at a premium and overruns need to be tightly controlled. 100% Factory Tested Prior to Shipment – All our control cabinets are fully tested before they leave our factory. This includes applying power and testing all the branch circuits and testing all I/O points to their terminal blocks. 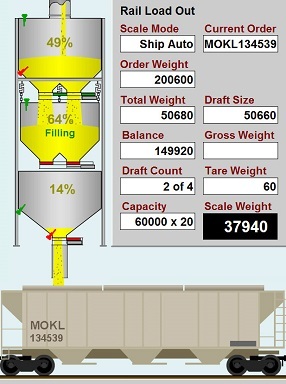 We read inputs back through the PLC and force outputs from the processor to ensure proper operation. Any additional operator controls such as Hand-Off-Auto switches and motor starters are also completely tested. 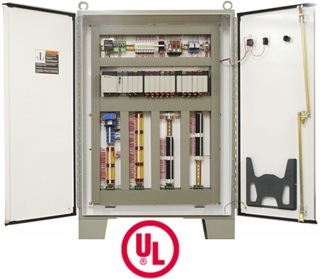 UL Approved for Construction and Wiring Methods – Our UL approved control cabinets meet the requirements of the UL508A specification for ‘Industrial Control Panels’. This ensures that only UL approved components are used and that our design and construction methods comply with their standards. 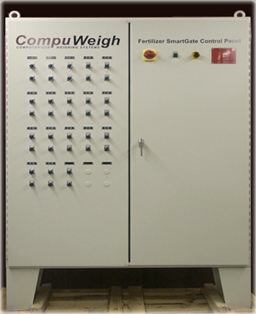 CompuWeigh is listed under UL File Number E218629 for use in the United States and Canada. Designed for easy installation – We pride ourselves in supplying control cabinets that feature a straight forward, easy to understand layout that makes it easy for electrical personnel to install the field devices. All PLC I/O is wired to terminal blocks, to make these connections easy and ample space is provided around the terminal blocks. Wiring ducts surround all terminal blocks to keep the wiring neat and organized. Color-coded terminal blocks make it easy for the installer and maintenance staff to identify the different circuits used in the control cabinet. Self-laminating vinyl wire labels ensure that wires are permanently identified. Indelible ink is used for all other labeling, including the terminal block tags. Complete Wiring Documentation – Wiring schematics are provided for the internal cabinet wiring, field devices, power and communication connections. Drawings are provided as hard copies and can also be provided in electronic format. One stop shopping – When you have a problem, there is only one number to call. 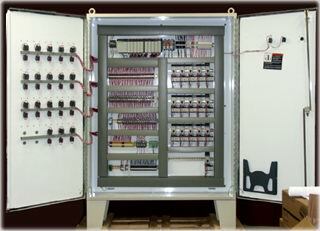 We build gate control cabinets. We supply HMI (Human-Machine-Interface) user interfaces that allow the operators to monitor and control all the equipment through the PLC. We are the largest supplier of NTEP approved scale control systems. The scales run on the automation computer, reducing the cost and space used in the control room. We supply the data management system that manages all the transactions, integrates to accounting and can manage bin inventory and blending.